Mr. Marcus Smallbone was found dead under most original circumstances. Due to the lawyer Abel Horniman’s extremely sophisticated sorting system, a variety of clients have their own deed boxes, which are sealed in an air-tight manner in order to prevent the accidental destruction of documents. A key goes missing, a key belonging to the deed box of the Ichabod Stokes trust fund, of which Messrs. Smallbone and Horniman are the sole trustees. Mr. Horniman is now dead and Mr. Smallbone is nowhere to be found. 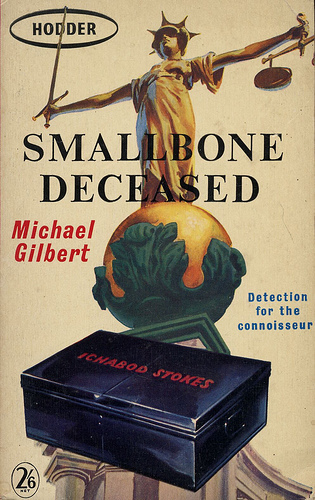 Fearing the worst, that perhaps Mr. Smallbone has run off with the money, the box is forced open… and the firm’s employees make a grisly discovery: Mr. Smallbone, or rather his corpse, is in the deed box, and apparently has been there for weeks. 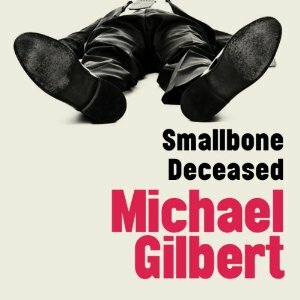 It is the plot of Michael Gilbert’s Smallbone Deceased, a book that everyone has told me is an absolute masterpiece—a must-read for detective fiction fans. But of course, that’s what people were telling me about Hamlet, Revenge! and I didn’t quite agree. So is this book really as good as its reputation suggests? Or is this just a lot of hype? The answer: yes, this book was every bit as delightful as I expected it to be. Let’s make this perfectly clear: this is a masterpiece. Admittedly, the author doesn’t come up with some wildly original twist ending where it turns out the publisher was the murderer all along. This is very much a typical, GAD-style mystery where the clues are all given to you and you should spot the murderer if your eye is quick enough. The delight, however, is that Michael Gilbert gives you every shred of evidence and sometimes shoves it in your face. But the solution is an ingenious one and he still manages to pull off a neat trick of slight-of-hand. The culprit will likely elude most readers. In Smallbone Deceased, you get a little bit of everything. You get terrific characters, and the character you follow around for most of the book is new to the Horniman legal firm, so you get the chance to follow him around and discover what the life of a lawyer in late 1940s London was like. Michael Gilbert was himself a lawyer, and so these scenes have a true touch of authenticity about them. Overall, I must agree with the opinions that have come before me—Smallbone Deceased is a masterpiece of the genre and a must-read. It doesn’t invent a shocking new twist, but it manages to be quite ingenious and plays scrupulously fair with the clues. The characters are excellent and there’s quite a bit of satire on the genre, all of which is genuinely funny. The setting offers much of interest as well, and there are even some neat moments of suspense. This is a genuine puzzler, pure and simple— and I wouldn’t hesitate to call it one of the best mysteries I’ve read this year. I managed to read it via audiobook, but I’m pretty much guaranteed to buy a physical copy of this book in the near future. 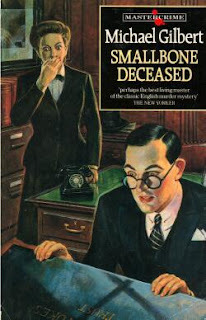 Note: Smallbone Deceased is available from The Rue Morgue Press, whose paperbacks are always of a high quality. Sounds intriguing. Going on the tbr list. You can also get this one via Audible, which was how I listened to it. A generally okay narrator, but a lot of people gave negative reviews-- I suppose because they found the British accent hard to understand! I wouldn't call Gilbert a forgotten writer exactly, but he is devilishly difficult to find at a reasonable price. The two books featuring his charming, murderous intelligence agents Mr Calder and Mr Behrens seem to have been out of print for years, and go for a lot on the internet. I recently read this book and DEATH IN CAPTIVITY, both of which I really enjoyed. Gilbert has a number of running heroes (some of whom run longer than others), and Bohun and Hazelrigg appear in their own adventures. One of the engaging things about Gilbert is that one of his characters will suddenly appear in another charactrs book, giving one the feeling of a shared universe as with Marvel or DC comic book characters. I really like the Petrella short stories, and am hoping that at some point a publisher will decide to put them back into print again. Gilbert was writing good stuff even into his 80s, and he deserves more than a footnote in crime writing history. I managed to find a number of Gilberts over the summer. The most attractive copy I found was a copy of THE NIGHT OF THE TWELFTH. The worst is a copy of FLASH POINT, an ex-library copy that spent a lot of time in a used bookstore where the owner smokes, and thus it still smells of the smoke... Still, I have to admit I'm happy with the investments-- this book is absolutely fantastic and I look forward to more Gilbert soon. I concur with your laudatory review, Patrick, but, in my most humble opinion, this masterpiece is still a step below his other monument of a crime novel, The Danger Within, also republished by the Rue Morgue Press. The alternate title is DANGER WITHIN, yes? It's also available via Audible. So that means I might even get around to it this year. But not just yet-- I used my monthly credit to get the newest Bryant and May novel (after the ninth one rekindled my love for the series). And then next month I plan to use it on G. M. Malliet's next novel. Still, at least two months-- that's not a bad time frame for keeping my promises. Thank you!! Just put it on my library list. Hope you enjoy it, Nan! Anyone who has worked in an office for most of his life will easily relate to Gilbert's insightful depiction of how claustrophobic those places become and the backbiting that often develops among co-workers. I enjoyed that part more than the detective story aspect. I think there are many ways to write satire, Patrick. You just happen to have a very constrained view of satire - especially when it happens to attack your love of the genre. I keep wondering what your reading tastes and opinions will be like when you get to be my age. Will you have mellowed and become less uptight about certain things? I hope so. I'd laugh uproariously about a theft of the family jewels. Joe Orton's play What the Butler Saw has scene about the theft of Winston Churchill's...uh..."cigar." I think Orton is brilliant satirist. His ideas are still seen as going too far, but I think he can be hysterically funny. Of course you're right that there are plenty of ways of writing satire, but I was referring to a specific instance, where the author showed absolute disdain, if not hatred, for the genre, and didn't bother disguising it. I'm also more a fan of the 'intelligent' (for lack of a better word) satire -- "The Real Inspector Hound" for instance. Although I do confess I laugh uproariously throughout the NAKED GUN trilogy. Great review, Patrick, and I heartily concur with your opinion of this book. I reviewed it a couple of years back on my blog. 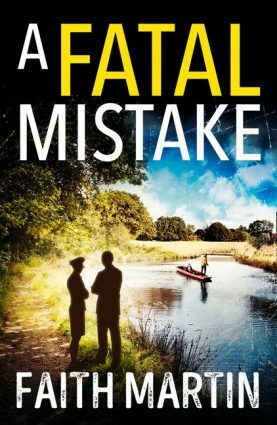 One of my favorite quotes, I must tell you, comes from the police commissioner, when Inspector Hazelrigg decides he needs a "partner" inside the law firm and approaches that newly-hired young lawyer: “It’s quite a good idea. Only for heaven’s sake don’t be like that mug in the detective story who confides all his best ideas to a friendly sort of character who turns out to be the murderer in Chapter Sixteen.” Fine sense of humor - and great mystery.